​We recommend trips to your groomer at a minimum of every month for trimming around the eyes, ears, paws, and privates. Your monthly trip to a groomer should also include a nail trim and ear care. Your groomer is then able to brush out your dog's coat to ensure there aren't any areas that you have missed in your regular at-home grooming to keep your dog matt free and comfortable. 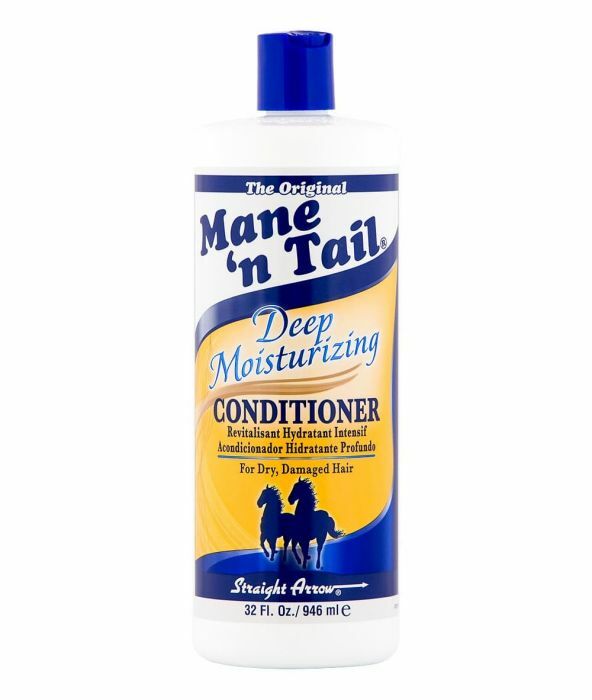 These monthly visits will allow you to maintain a gorgeous flowing coat. Cobberdogs have a non-shedding coat that does require frequent brushing. We give our dogs a thorough brushing every couple of days, and more is always better. Once a week we also inspect nails for trimming. We check and clean ears once a week to prevent ear infections. Ear cleaner and wipes: remember to inspect and gently cleanse and dry ears weekly. Ensure that groomer trims or plucks ear hair with each visit. Cobberdogs may be prone to ear infections, so please be careful to do proper ear care (especially if allowing them to go swimming!) Having the inner ears trimmed or plucked helps to create airflow and minimize potential for ear infections. Ear powder can be used to dry the ear and to aid plucking. Ear infection symptoms include a strong unusual odour, increased dark wax production, and your dog may itch or shake its ears constantly. 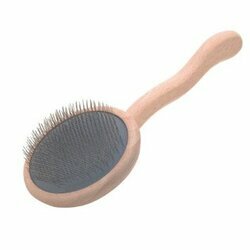 Slicker brush: remember to brush behind ears and under legs to prevent matting. Remember to handle paws, tails and ears when grooming and cuddling to ensure that your pet tolerates this nicely for any visitor or groomer. Have fun with grooming and make it an enjoyable experience for your puppy! The right brush makes a big difference on ease of grooming and preventing damage to your dog's coat and skin. We like our Chris Christensen brushes (amzn.to/2LZTA3X). We start grooming by brushing out the coat in small section by section, and then go back over the coat with a comb to ensure that we haven't missed any tangles. Tooth brush & tooth paste: regular brushing keeps away bad breath and ensures healthy teeth for years to come. Natural bones and antlers are great for reducing plaque and tartar. 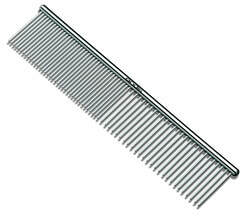 Grooming Comb: we love our metal grooming comb by Andis (amzn.to/2LYyItL)! 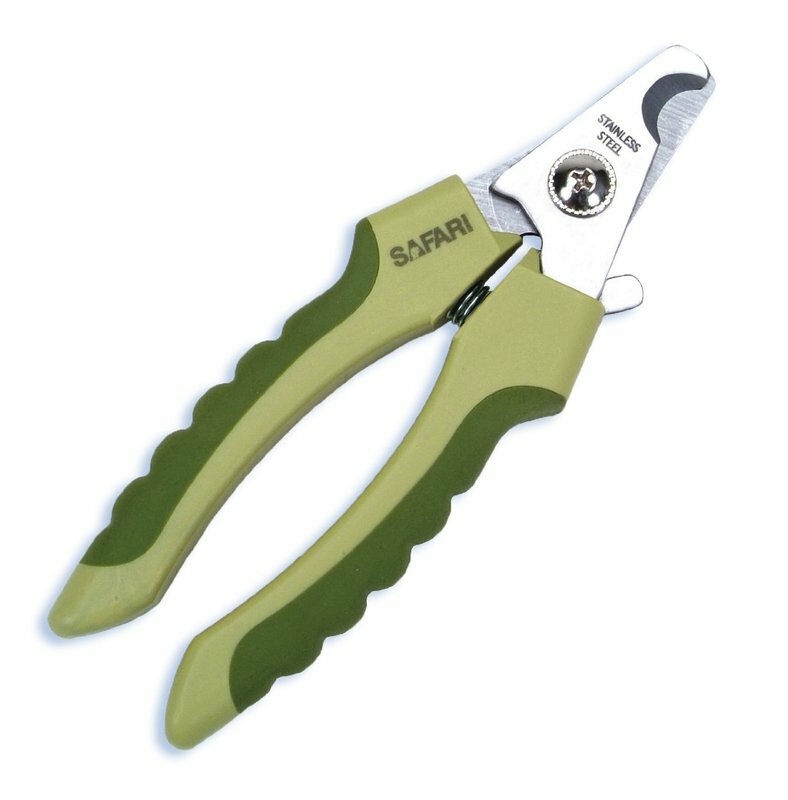 It is a great tool to keep your dog's coat soft and free of matting or tangles! 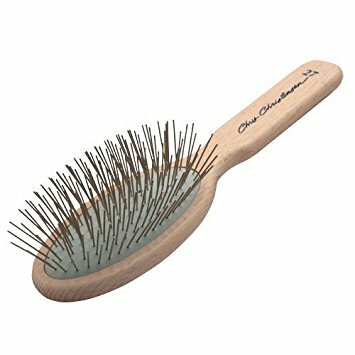 We could not live without our combs!